It may be a magic spell in the dictionary, but in the mind of man all the world over it signifies the respect and consideration paid to great powers and noble qualities. A moment of epiphany inspired this book—a moment as dazzling, in its way, as a conjuror’s most triumphant revelations. One Sunday evening, I had the privilege of witnessing a marvelous performance of the famous “die box” effect, at Hollywood’s Magic Castle. Although the presentation of this classic trick was nothing short of expert, the performance seemed somehow to be lacking something. In the art of magic, nothing is more crucial than the level of involvement of the audience. And on this memorable occasion, it was the level of involvement of one particular audience member which triggered my insight into precisely what was missing from an otherwise flawless display. At the climax of the trick, the magician began to open the doors of his wooden box to reveal that the spectacularly oversized die inside had, evidently, vanished into thin air. Suddenly, a voice from the audience rang out across the hushed tension of the theatre. A heckler? No, not exactly—though one could perhaps brand her a “kibitzer.” What, then, was the content of her momentous interjection? It was merely one word: Voilà! “Voilà!” My fellow spectator called the word out in a loud whisper, like an efficient script girl prompting a delinquent stage actor’s lines from behind the curtain. “Voilà!” she repeated, perhaps with a hint more insistence, when the magician failed to take her cue. One can certainly sympathize with the professional entertainer who has trained himself to ignore distractions, criticism, insults, flirtation, and motherly advice from the audience, lest his rhythm falter or his control waver. What magician could be at once so humble (a trait not generally associated with magicians) and so self-confident as to let a “Voilà!” pass his lips, after an audience member has attempted to spoon-feed it to him? No, it should not surprise us that the performer ignored our heroine and simply continued with his routine. But the spectator was expressing a genuine desperation, rooted in a legitimate expectation. She awaited, she desired, she needed something that the magician was not providing: a magic word to trigger the effect’s finale. Her point was crystal clear—a wondrous effect demands to be marked and activated by a magic word, a word that bespeaks the history of the craft, the requisite secret knowledge, the focused intent of the performer . . . and, above all, humanity’s deep-rooted reverence for the creative power of language. Voilà: behold! As the lady’s unheeded request lingered awkwardly in the room, the sheer vibrancy and urgency of magic words was dramatically revealed.1 And it was revealed with a power and resonance that eclipsed even that of the onstage illusion. Our current fascination with magic words stems from a general revival of interest in the arts of close-up magic and grand illusions. This began in the late twentieth-century and has continued into the twenty-first, fueled by the work of such performers as Criss Angel, Lance Burton, David Copperfield, Siegfried & Roy, David Blaine, and Jeff McBride. But magic words are, as one might guess, as old as conjuring itself.2 Their presence, as echoes of the rhythm and vibration of creative power, has always gone hand-in-hand with sleight-of-hand. Professional magician Jeff McBride considers the very first magicians to have been storytellers: “They told a story with words. Words are powerful tools.”3 Indeed, “One of the most powerful ways of specifying your magical or mystical intent is through the use of words.”4 Any magician, like any storyteller, uses many of the same words as the population at large. But then there are those special words, those that are the hallmark of his art: the “magic” ones. The heft of these words cannot be denied. They convey import and influence, whether one regards them as embodying a supernatural significance and origin; or, instead, as the original creations of human culture, the trappings of superstition and showbiz. Where they fail to produce awe, they instead invite a linguistic fascination. If they’re not really “magic,” thinks the skeptical scholar, then let us explore why and how we have evolved and perpetuated these particular words. A great many magic words have stood the test of time, passed on from master to apprentice, generation through generation, to find expression on the modern stage and street. These ancient, musical, poetic incantations have a profound—but not necessarily unfathomable—mystique. From the familiar but oft-perplexing classics like abracadabra, alakazam, hocus pocus, presto-chango, shazam, and sim sala bim, to whimsical modern inventions like izzy wizzy let’s get busy, to lesser known gems like the tongue-twisting tirratarratorratarratirratarratum, these venerable magic words and phrases warrant a serious, scholarly tribute. These potent and glorious words, long prized by shamen, conjurors, and illusionists, have earned the right to the ultimate linguistic honor—enshrinement in their own special dictionary. The volume you are holding explores the most intriguing magic words and phrases from around the world, from a vast assortment of periods and civilizations. The entries touch upon each term’s special aura of mystery, its meaning or meanings, and its origin and history. We will also encounter popular variations, amusing trivia, and some fascinating examples of usage from both literature and popular culture.5 Sources—by which I mean those remarkable practitioners of magic, throughout the ages, who have been documented as using these words—range from prominent modern magicians to their distant ancestors: the hierophants of ancient Egypt; the high priests, medicine men, sorcerers, and alchemists of the Middle Ages; and the workers of wonders and miracles throughout history—all performers of their day, seeking “to mystify, to enchant, to entertain.”6 Nor have we neglected their prominent, if fictitious, cousins—the necromancers and wizards of legend and fairy tale. We know that words cannot move mountains, but they can move the multitude. . . . Words shape thought, stir feeling, and beget action; they kill and revive, corrupt and cure. The “men of words”—priests, prophets, intellectuals—have played a more decisive role in history than military leaders, statesmen, and businessmen. From ideology to science, from spiritualism to cultural revolutions, words open passages into the unknown. And anyone, whether leader or follower, for whom discourse serves as a first step to unexplored territory, is an Ali Baba, a personal pioneer. Jim Butcher, author of mystery novels set in a magic-enabled world, posits that words aren’t so much magical in themselves as they are containers that hold the magic. “They give [magic] a shape and a form, they make it useful, describe the images within.” One might imagine a magician’s enchanted silk as such a container, giving shape and form to the invisible magic force that animates it. Or one might picture the age-old cup-and-ball tumbler, or the magician’s signature top hat, as delineating a space within which marvels occur. Butcher adds that a few particular words are so magical “they resound in the heart and mind, they live long after the sounds of them have died away, they echo in the heart and the soul. They have power, and that power is very real.”10 Even professional magicians, intimately familiar as they are with the mechanics of illusion, long to enjoy that heart-, mind-, and soul-wrenching amazement along with their spectators. We must remember, after all, that a craving for wonder is universal. 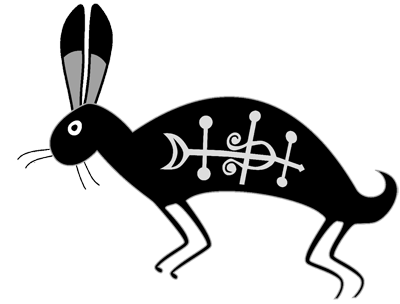 Moreover, it stands to reason that this craving might be especially intense in the psyches of those individuals who pursue magic as a career or avocation. As a budding magician’s skill in understanding and contriving illusions develops, there is no reason to suppose that his hunger for wonder accordingly diminishes. Perhaps this is why magic catalogs so often promise that the magician will be equally amazed by an illusion. For example, magician Jim Cellini’s “Lord of the Rings” routine vows: “You will stand in front of a mirror and amaze even yourself when you perform these moves.”11 Likewise, magician Lubor Fiedler’s “Blue Crystal” trick promises it “allows you to experience the astonishment yourself, when the crystal surface that you just touched allows coins and cards to sink inside. The visual effect will cause you to question your own eyes.”12 Knowledge of procedures may be beguiling to a point, but the very sounds of “magical words, sacred references, and metaphors” can prove “irresistible.”13 Everyone can share that primal amazement, gloriously augmented by the reverberations of the right magic words. The word, “having originally formed part of the act, is able to evoke all the concrete emotional contents of the act. Love cries, for instance, which lead up to the sexual act are obviously among the most primitive words; henceforward these and all other words alluding to the act retain a definite emotional charge.”16 One needn’t look far to observe that those words which reference “the act” are indeed remarkable in their power to arouse, titillate, shock, offend, and even amuse. Manipulating the audience through language, the magician can do even more than distort logic and obscure reality: he can “replace it altogether.”21 He accomplishes some of this with ordinary language, complementing his legerdemain with a patter calculated to shape our perceptions and expectations, misdirect our attention, and obfuscate our sensory cues. But at the critical moment, it is not ordinary language on which the magician traditionally relies. It is the intention of this dictionary to showcase those powerful words that give shape and form to a magician’s ungraspable feats, much like his piece of silk, or that construct a puzzling new reality, like his landscape of smoke and mirrors. 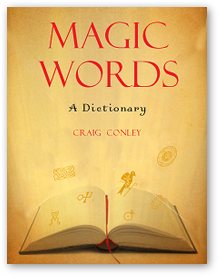 Whether you are a professional illusionist, an amateur at sleight-of-hand, or simply a word lover intrigued by the power of language, may this dictionary enlighten and inspire you to create pure wonder and awe whenever you speak. Voilà! As Stephen L. Carter succinctly puts it, “Words are magic. We conjure with them” (Civility ). The reason for this is equally simple: “Words and magic were in the beginning one and the same thing” (Sigmund Freud, A General Introduction to Psychoanalysis ). One of Japan’s earliest chronicles of history and mythology, Holy Nihongi (720 CE), traces the first use of magic incantations to the year 660 BCE. As literary theorist Samuel C. Wheeler III has noted, “[T]here are no magical words which interpret themselves . . . The meaning of a word can be given only in other words” (Literary Theory After Davidson, edited by Reed Way Dasenbrock ). One might say the same of all words, of course—hence the notorious circularity of dictionaries. Grave Peril (2001). Similarly, D.A. Carson notes: “There is nothing magical in the words themselves. But when you actually mean the words you say, they are life changing” (Sunsets: Reflections For Life’s Final Journey ). Martín Prechtel, Long Life, Honey in the Heart (1999). Scholar Thomas Seifrid notes that “every word is in principle a metaphor” (The Word Made Self: Russian Writings On Language, 1860-1930 ).